« I’m Off the Grid Until Monday. Time to Review My Archives. 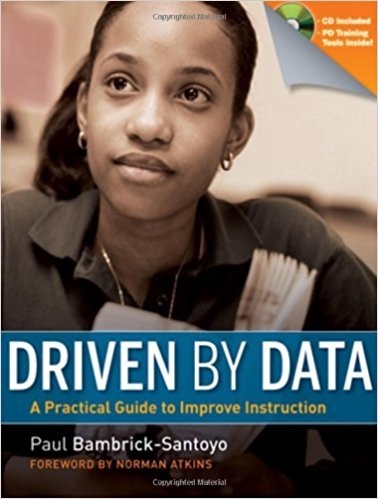 Driven by Data: A Practical Guide to Improve Instruction by Paul Bambrick-Santoyo offers a step by step approach to preparing your students for high-stakes tests while students work to master standards. While you may be hoping for the current testing madness to end, Paul offers a practical way for your school to out perform other schools with similar demographics while the current tests are still with us. Part two includes specific workshop activities for data leaders. Paul is managing director of Uncommon Schools, leading six schools in the North Star Academy network that have achieved some of the highest results in the country. He has trained over 2,000 school leaders nationwide, and is the Data-Driven Instruction faculty member for New Leaders for New Schools, an urban school leadership training program. Paul likens the analysis of end-of-year and high-stakes state testing to an autopsy where the purpose is to find out why the patient died. He prefers that educators spend their time looking at the results of interim tests and use them to inform instruction. This is similar to how a physician would use the results of a physical to determine treatment and recommend lifestyle changes. Paul also warns that data-driven instruction is not an elaborate stratagem for promoting “test prep.” While he sees many faults in the NCLB testing culture, he is happy to see educators focusing more on accountability for student achievement, and interim assessments hold them accountable throughout the year. In order to be effective, interim assessments must be of high quality, which is seldom what you get when individual teachers slap something together at the end of a unit. The tests need to be in place prior to the start of the school year and be available to the teachers. Every teacher at the same grade level or subject should be using the same tests at the same time. This allows teachers to analyze the results together. Paul recommends assessments every six to eight weeks. Too seldom allows weaknesses to go unrecognized. 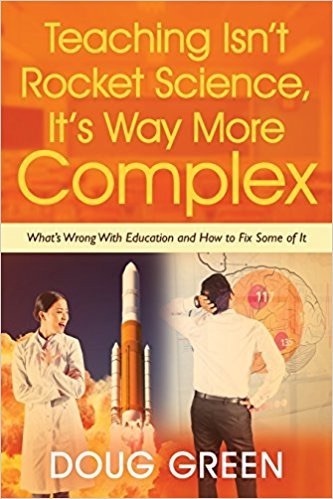 Too often and teachers may not have time for satisfactory analysis. It is also important that teachers be involved in test creation or selection. Paul is ok with purchased tests as long a teachers get to see them. Some vendors don’t allow this in order to maintain test validity. This entry was posted on Thursday, August 21st, 2014 at 7:47 am	and is filed under Book Summaries, Education Books, Leadership Books. You can follow any responses to this entry through the RSS 2.0 feed. You can leave a response, or trackback from your own site. i enjoyed your book titled a practical guide to data driven instruction.